"It was the forced development of the aircraft engines for WWII that changed the game for auto engines. Before that it was flatheads and straight 8s etc. Smokey U was a B-26 bomber pilot in WWII. They were hot rods. They kept them around even until the Vietnam days. He was inspired by his military days." Go back and look at the stuff that Harry Miller ,Fred Offenhauser, Leo Goosen and the Dusenberg brothers were doing prior to WWII. Very sophisticated automotive designs. You did not see an overhead cam on a USA mass produced automotive engine until 1966( Thanks JZD). The aircraft power plant designs of the 1930's and 40's were amazing cutting edge stuff. They had to be.Radial, inline,V , turbocharged,supercharged,variable venturi carbs ,fuel injected , nitrous assist. Martin B-26 Marauder (Not to be confused with the Douglas A-26A Invader which did see service in Korea & Vietnam) was a hot ship. Their escorts had trouble keeping pace with them. Very few flying examples today. Guys Like Smokey (Stuart Hilborn) that were mechanics on those machines transferred that knowledge into hotrodding when they came back in the late 1940's. Gach, liked your Oberg recommendation, just bought 6" Oberg tattle-tale filter for Kool-Aid 444 in my 71 Formula. It is on the way now have to decide on filter adaptor and by-pass or no on the factory oil filter mount. Tattle tale model says it has a by-pass … I guess that means unfiltered oil will lift the plunger under certain level of pressure, opening a passage from in to out letting unfiltered oil pass without going through screen while closing a switch to light an idiot light. It has a metal screen vs paper element that should screen particulate more effectively as well as screen faster for better throughput. Mounted to the factory unmodified oil filter adaptor I think a "bypass condition" would have the same effect on the factory mechanism wouldn't it, or would it? Double by- pass troubles me less after reading (Oh no! ) Bruce Fulper's explanation of why he runs no oil filter at all but just early 4cyl pass-thru plate. Im thinking I will change oil often, after any race-day otherwise every 1500mi and let the indicator advise me of when to stop and check things otherwise. Can put a trick little red light near my underdash gauge set or possibly wire to in dash gauge. My Oberg did not come with an adaptor to screw onto factory oil filter mount but I noticed an Oberg PN 231 as being available. Is that what you used? I remember my Trans-Dapt dual kit coming with the adaptor which I drilled a safety wire hole in and safety-wired to my Enduro car to keep from loosening. Used old radiator hose "over-coats" for oil lines to firewall when I mounted Trans-Dapt to passenger floor. I liked the extra oil capacity but factory oil level in pan height thinking it will hold more junk, spread it out further and be easier to cool, as well as remote mount letting me use a single electric fan to cool both my oil and trans fluid. Put splash cover over. For this street/car I want to move Oberg to a convenient place to access and do the same near radiator. Maybe use copper tubing especially near headers with flexible lines. Mine filters oil 100% so don’t know one you got. Nunzi makes adpt that bolts in place of oil filter housing ( it’s aluminum) has two female threads ( In-Out ) and you run Braided line from it to O’berg Filter. #8 line. But you really don’t need it, just tape the holes in the block. Doubt you could use copper. Lou is that a mistake above #8 line. Everything I read #10 min and #12 is better. Gach, guess you have Oberg with no tattle-tale, and you don't use the factory oil filter mount in the middle .. I think that is what Nascar guys mostly do. I have "street?" version with tattle tale that "hollers" if screen gets clogged and pressure differential builds on one side or the other?? I believe there is a bypass in it from Oberg site info that doesn't include much detail. Actual flow is probably better without using factory mount in between with either style. Guess I was mostly wondering if I retain the factory mount and don't block the bypass if the factory bypass + the Oberg bypass would cause negative issue with oil delivery and/or the factory kick before tattler. I guess questions for Oberg tech. Might just do as you and tap block. Consider the tattler Oberg as a complete replacement for factory oil filter mount. Well picked up new 462 last nite, got it on the stand. I wanted to mount the new Tomahawk windage tray and oil pan & pump but there is a issue with studs hitting the tray. I need to buy small spacers 3/8 thick x.5/8 o.d. to drop pan that far. Always something?? ?// Opps no internal dip stick tube either. If I’m understanding this Right... You want to drop pan 3/8” so it’ll clear ? What’s going to happen to the front timing cover and rear of the pan that goes over rear main cap, won’t there be 3/8” space, how you going to seal that up. Question, got short block back Great ! Are those pistons dish ? Put washers under the pan between them and the caps. 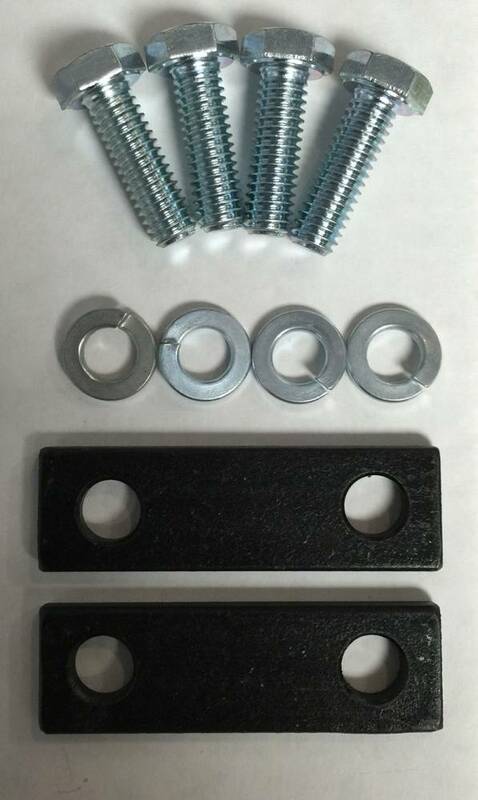 Some use nylon washers for vibration. Windage trays are controversial. LOTS of stories about them breaking up and getting wadded up down there. But I have had a factory one on my 455 for almost 30 years of running very hard. I tend to think the ones that have had all the problems were with engines that had issues. Detonation or abuse. Guys at Luhn think the same thing. But, that said most guys go with crank scraper and nothing else these days. Also, a pan like Gach runs with built in windage screen is not a bad idea. It won,t come apart. Canton makes them. Thanks Tom, you know what i mean!! exactly what i need so Butler makes them hummmmmm. All times are GMT -3. The time now is 07:19PM.